Product prices and availability are accurate as of 2019-04-06 10:11:13 EDT and are subject to change. Any price and availability information displayed on http://www.amazon.com/ at the time of purchase will apply to the purchase of this product. It features a rugged, weather-resistant Nylon exterior that helps absorb damage from drops and dings. 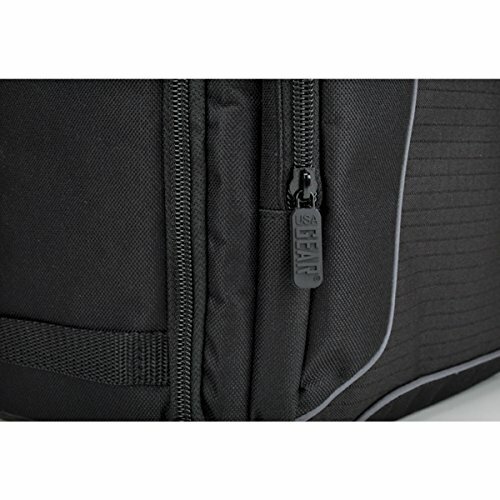 The inside is constructed with a soft, scratch-resistant Nylon that will keep your projector and accessories safely cushioned and looking brand new! And if the weather gets bad while you're outdoors, the pack also comes with a rain cover to protect your equipment even when it's pouring! It has 3 mesh accessory pockets located within the pack, along with a customizable series of wall dividers designed to give you the perfect fit for your device. Use it to store mounts, batteries, memory cards, cables, and more. The pack also comes with carry straps and a tripod foot holder for clipping on or tucking in extra add-ons like mini tripods or water bottles. With a compact form factor and lightweight design, this bag is ideal for the on-the-go photographer. You can quickly access your projector with the handy top-loading storage pocket. It's also constructed with a comfort-padded back and carry straps, so you can wear it on long walks and hikes with ease. Internal Dimensions: 14 x 11 x 5 in. 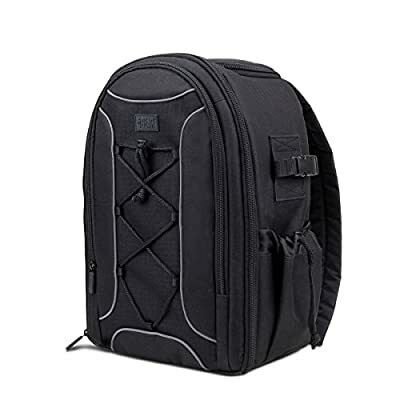 Compact, portable dslr backpack is great for storing portable projectors including Ezapor GM60 , 2015 Tronfy Full Color , DeepLee Wireless , Epson VS240 , Viewsonic PJD5155 and more A durable Nylon exterior, soft cushioned interior and a weatherproof cover pair together to offer your projector the ultimate protection | Internal Dimensions: 14 x 11 x 5 in. 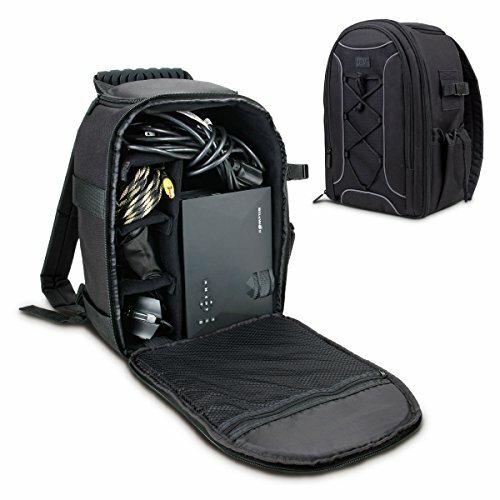 Storage pockets and customizable interior dividers give you lots of choices for storing your mounts, batteries, memory cards, cables and more accessories Ergonomic design includes padded back support and straps for comfortable extended use | Main pocket also features a mesh sleeve for storing select 7-10 inch tablets Includes USA Gear's 3-Year Manufacturer's Warranty!